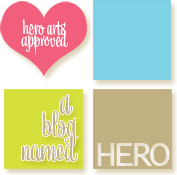 Thank you to all the lovely comments received on the A Blog Named Hero 10th Anniversary Blog Hop last week! The winners of the Blog Hop were announced here. There sure were quite a few inspirational posts from some remarkable ladies! I'm back with another one of my cards made during a recent Craft Retreat. 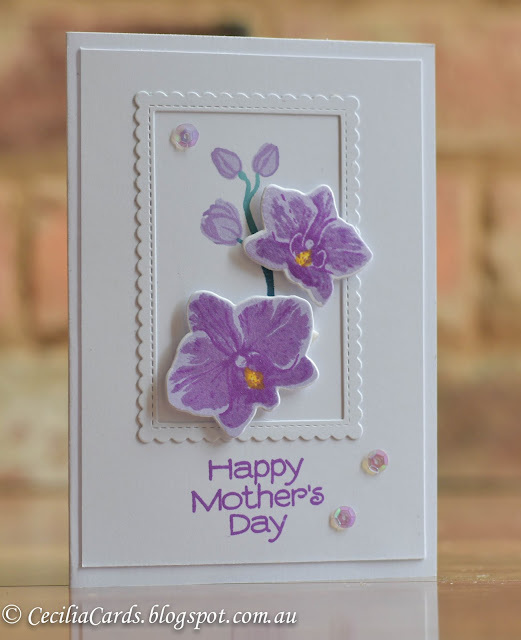 This one is for Mother's Day and I've used my Mother's favourite flower in this card combined with my MIL's favourite colours. Yes, I made two of them at the same time! 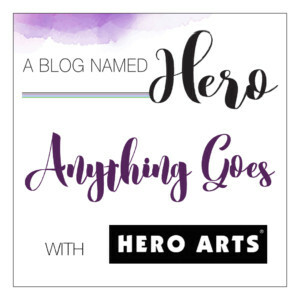 Please join in the fun challenge over at A Blog Named Hero - Anything Goes challenge. Thanks for dropping by! Beautiful card! I love this Orchid set. Thanks for joining A Blog Named Hero.